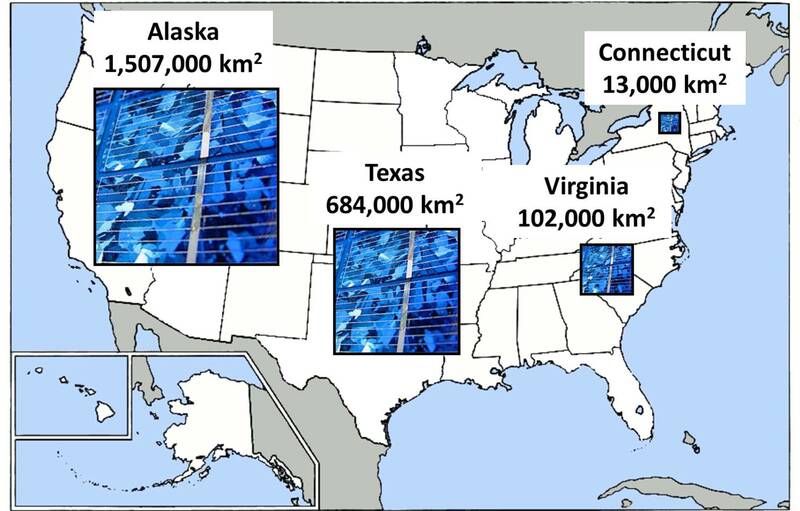 Superposition of hypothetical solar power plants having areas the size of Alaska, Texas, Virginia, and Connecticut on a map of the contiguous United States. This hands-on outreach activity allows students to determine how large of an area must be covered with solar panels to meet the U.S. primary energy needs. Note to educators: Feel free to use and modify the presentation as a part of your own educational activities. We welcome any feedback that you may have on what worked or did not work well. More outreach modules to come!